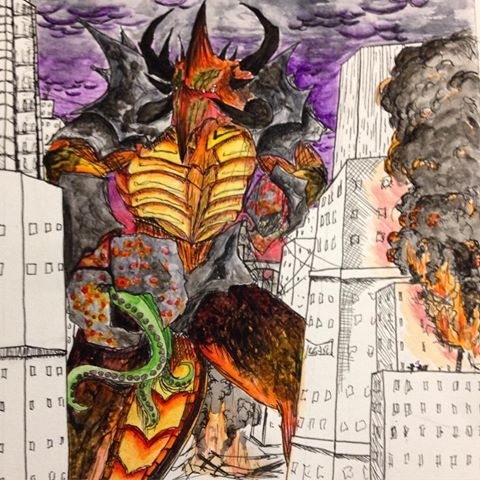 I'm designing a kaiju rod puppet for an upcoming film of mine. At first I was going to go with stop motion, but I've decided against it in order to expand my horizons. I've seen the Garage Monsters tutorial where Shannon Shea builds a rod puppet using very minimal casting and latex work. I feel I could build my puppet in a similar manner, however I'm wondering if it might be better to cast it in latex or foam latex? I really like the look, feel, and shape of the rancor from return of the Jedi, so that's kind of a model of inspiration I'm working from. Claws- open/close. Right claw has articulated tentacles inside. Claw Tentacles and tail- cable control. My wip color concept for the creature. 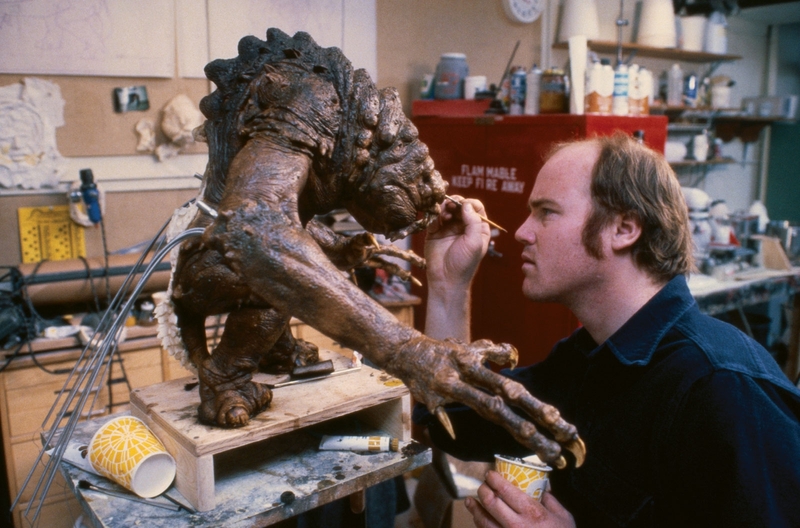 Phil Tippet painting the Rancor, Return of the Jedi. Casting could help in keeping consistency in detail between castings if you have to re skin it. Problems come when you have to bake the foam latex. Do you have a separate oven with exhaust fan to outside your house? You do not want to bake possibly toxic chemicals in Mom's baking oven! I recommend using what you know. You can get decent results with fabrication, just plan it out. You could do one trial one, maybe sculpt the head and any areas like your monster's chest area and underbelly/under side of tail. Be sure to measure the areas width, length, etc, and draw out on a board for sculpting the flat sections. It would be like sculpting large stop motion puppet skins. I hope this helped.